Scroll down for upcoming gigs and news! ---- Sivun alaosassa uutisia ja tulevia keikkoja! 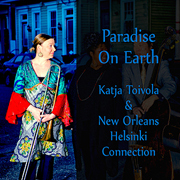 New Orleans Helsinki Connection's new "Paradise On Earth" CD! BUY MUSIC @ SONOP'S CD BABY PAGE! "Leroy Jones tapped New Orleans brass band roots in a soaring show at French Quarter Festival 2013"
10.6.2016 Leroy Jones' new album: I’m Talkin’ Bout New Orleans has its own page! You can now follow Spirit Of New Orleans Productions on Twitter! All That Jazz! - Katja Toivola's Photo Exhibit now online! Leroy Jones' UK Tour w/ Joe Stilgoe, Ian Shaw & Quintet announced! Go to www.leroyjonesuktour.com for more info, tour dates, and tickets. "The Sea Horse" and "Paradise On Earth" released as digital downloads!
" -- This, my friends, is why we come to French Quarter Festival -- "
Great review of Leroy Jones' Original Hurricane Brass Band's French Quarter Fest appearance on NOLA.com! "Paradise On Earth" reviews are out! Click here for more information on the record. 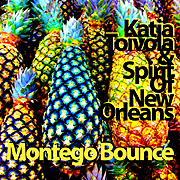 "Montego Bounce" released as a digital download! 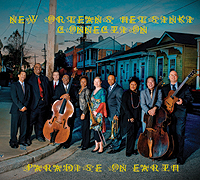 New Orleans Helsinki Connection releases new album "Paradise On Earth"
" -- Another collaboration from this diverse ensemble once again ferrying jazz lovers to a better understanding of musical intimacy. -- "
Read Brian Boyles' review in OffBeat! "Go To The Mardi Gras" -- new single by Leroy Jones Quintet is out! Click here to get it at Louisiana Music Factory (http://www.louisianamusicfactory.com/showoneprod.asp?ProductID=7536), on iTunes (http://itunes.apple.com/us/album/go-to-the-mardi-gras-single/id500306004), CD Baby (http://www.cdbaby.com/cd/leroyjones8) or Amazon (http://www.amazon.com/Go-to-the-Mardi-Gras/dp/B0075HNL84/ref=sr_1_1?s=music&ie=UTF8&qid=1328716677&sr=1-1). To the Neworleaniaphiles out there! New single "I'm Talkin' Bout New Orleans" from Leroy Jones is out! 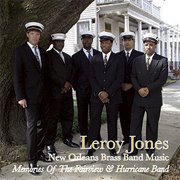 Click here to get it on iTunes (http://itunes.apple.com/us/album/im-talkin-bout-new-orleans/id497018201), CD Baby (http://www.cdbaby.com/cd/leroyjones7 or Amazon (http://www.amazon.com/Im-Talkin-Bout-New-Orleans/dp/B00705L14C/ref=sr_shvl_album_1?ie=UTF8&qid=1330471259&sr=301-1). "Wonderful Christmas - A Brass Salute To The King Of Kings" now available @ iTunes and CD Baby!! And of course, those of you who want the whole package, covers 'n' all, can get it @ Louisiana Music Factory!! Click below to go to our new Facebook page and become a fan!! Lue Jazzrytmien Mahogany Hall Stomp -arvostelu. SONO uusi Mahogany Hall Stomp -levy julkaistaan joulukuussa. SONO's new CD Now available at Louisiana Music Factory!! And @ Donna's Bar & Grill April 29, 2009 -- More info here. "Sweeter Than A Summer Breeze" will be released on Valentine's Day, February 14th, 2009 and can be found at the Louisiana Music Factory (210 Decatur Street, N.O.LA 70130) and online on iTunes, CDBaby and Digstation. The release party, featuring Leroy Jones Quintet, will be held at Donna's Bar & Grill (800 N. Rampart Street, New Orleans, LA 70116) on February 14th, 2009, 9:30 pm. 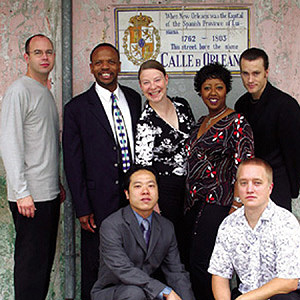 Leroy Jones, Katja Toivola, Tricia Boutté, Paul Longstreth, Mitchell Player and Thomas Rönnholm will be performing in Brazil September 4-12, 2008. The Jazz Festival Brasil tour includes the following cities: São Paulo, Brasília, Belo Horizonte, Rio de Janeiro, Aracaju, and Recife. Leroy Jones, Katja Toivola, Tricia Boutté, Paul Longstreth, Mitchell Player ja Thomas Rönnholm esiintyvät Brasiliassa syyskuun 4.-12.2008. Jazz Festival Brasil -kiertueeseen kuuluvat seuraavat kaupungit: São Paulo, Brasília, Belo Horizonte, Rio de Janeiro, Aracaju ja Recife. New Orleans Helsinki Connectionin Satchmo SummerFest keikka radioidaan WWOZ-kanavalla! 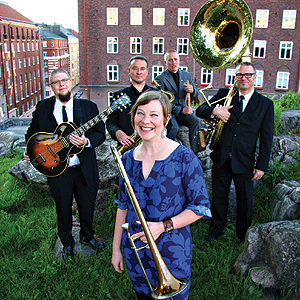 New Orleans Helsinki Connection's gig @ Satchmo SummerFest will be brodcasted live on WWOZ! NEW PICTURES FROM SONO'S GIG @ PORI JAZZ! UUSIA KUVIA SONON PORI JAZZ -KEIKALTA! 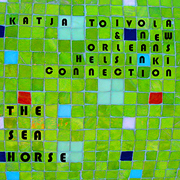 New Orleans Helsinki Connection: At Last now available @ CD Baby! New Orleans Helsinki Connection: At Last nyt tilattavissa CD Babysta! NEW STORE PAGE - BUY YOUR FAVORITE CDs HERE!! UUSI KAUPPA-SIVU - HANKI SUOSIKKILEVYSI TÄÄLTÄ!! Spirit Of New Orleans solistinaan Eeppi Ursin esiintyy Kalottjazz & Blues Festivalilla Torniossa ja Haaparannalla 30.6.-1.7.2007. Spirit Of New Orleans featuring Eeppi Ursin is performing @ Kalottjazz & Blues Festival in Tornio and Haparanda June 30 - July 1, 2007. Spirit Of New Orleans is performing with Yolanda Windsay @ Sildajazz in August. Leroy Jones' new CD Soft Shoe now available! New Orleans Helsinki Connection is performing at French Quarter Festival and at Donna's Bar & Grill. More information here. New Orleans Helsinki Connection esiintyy French Quarter Festivalilla ja Donna's Bar & Grillissä New Orleansissa. Lisätietoa täältä. A lot of new links on the links page... click here. Linkkisivulla paljon uusia linkkejä... klikkaa tästä. Spirit Of New Orleans: Some Of These Days julkaistaan 20. toukokuuta! Levyllä solisteina Eeppi Ursin ja Leroy Jones. Spirit Of New Orleans: Some Of These Days will be released May 20 in Helsinki! Featured soloists on the CD are Eeppi Ursin and Leroy Jones. Picture galleries have been updated (SONO & NOHC). Please check them out! N.O. French Quarter Fest, Wycliffe Gordon Ensemble sitting in with SONO at Storyville, Baltic Jazz, JazzEspa. Kuvakansioita on päivitetty (SONO & NOHC). Käykää kurkistamassa! N.O. French Quarter Fest, Wycliffe Gordon Ensemble jammaamassa SONOn kanssa Storyvillessä, Baltic Jazz, JazzEspa. Hurricane related information has been moved here. New Orleansin tulvaan liityvät kuvat ja tekstit on siirretty tänne. Music for any occasion - call us and we'll be there! Spirit Of New Orleans Productions is located in the heart of it all - Tremé, New Orleans, Louisiana. 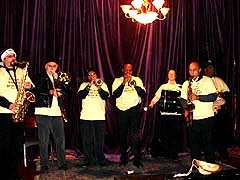 Spice up your event or festival with authentic New Orleans Jazz.